Ear infections in dogs and cats are fairly common and are usually the result of bacterial or yeast infections. These begin in the ear canal and tend to arise in dogs where ears are low to the ground or excessively moist or hairy, and, in cats, where ears are wounded. It is important to monitor and maintain your pet’s ears throughout its life, especially if it is predisposed to problems. Dogs with allergies and those with drop ears are more susceptible to complaints and need to be monitored more closely. This primarily includes Basset Hounds, Cocker Spaniels and Poodles whose ears are naturally long and hairy and are good at trapping debris. If you suspect your pet has an ear infection, take it along to the vet for a check-up. 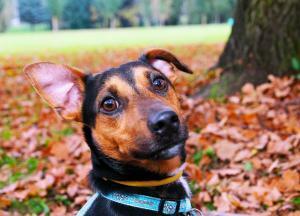 You might initially notice it excessively pawing at its ear or shaking its head – two classic signs of ear irritation. On further investigation, a strong odour may be evident, along with redness, swelling and even hair loss. Your vet will be able to take a swab from the affected ear and examine it to identify what micro-organisms are present. Depending on the type of infection, a course of medicated ear drops will be prescribed, as well as antibiotics if the infection is severe. It is important to note that ear wax that is brown or black and resembles coffee grounds is a clear indicator of microscopic ear mites. Don’t ignore these – have your vet examine the problem at your earliest opportunity. Key to preventing infections is keeping the ears clean, dry and intact. In dogs, the growth of bacteria is often the direct result of excess moisture gaining entry to the ear canal, either through swimming or over-bathing. If your dog tolerates it, consider putting cotton wool in his ears before bath-time to protect these delicate structures from moisture. If your dog is wet, dry his ears as thoroughly as you safely can and remove any excess hair that is growing inside the canal. If left, this excess hair can form matts and tangles (more likely when wet) that block the ear and cause discomfort. Consult your vet or groomer before doing this as it might not be necessary and could end up causing more problems than it solves. Infections can arise in cats when the external ear sustains a trauma. A bite or scratch can tear the ear and introduce infection to the wound; if the infection isn’t treated, an abscess may form beneath the skin. Cats that are free to roam should be monitored more closely as they are at greater risk of contracting infection and disease. The ears protrude and are therefore more likely to sustain damage. When it comes to administering ear drops and care solutions, make sure you never insert anything into your pet’s ears that could damage the canal and ear drum. Cottons buds are a no-no; while they might be an effective way of cleaning your ears, they are not suitable for the twisting, turning structures of your pets.’ Not only do they push debris further into the ear, but they can rupture the eardrum if inserted too far. Using a gentle cleaner regularly should hopefully help prevent ear infections and keep the inner ear healthy. They should not, however, be used to treat an existing infection as many cleaners contain acids which can aggravate an ear that is already inflamed. They are best used in clean, healthy ears purely as a maintenance measure. From VioVet comes RestAural, a gentle everyday cleaner for the maintenance of healthy ears. Whether you have a cat or dog, it is important to monitor and maintain your pet’s ears throughout its life, and RestAural is specially formulated to gently clean, dry and balance the ear canal, reducing the chance of infection. In dogs with allergies, using an approved cleaner regularly could help reduce the frequency of recurrent ear infections. In cats, the internal condition of the ears is maintained and collected debris that could potentially cause harm is safely flushed out. Simply fill the ear canal with the cleaning solution and hold a small amount of cotton wool against the opening, gently massaging the ear at the base. This will allow the fluid to move up and down the canal whilst absorbing the debris that is lifted out. Leave the cleaner in for as long as your pet can tolerate it, and then allow the inner ear to dry for a few minutes. If you are interested in giving RestAural a try, feel free to contact us for more information! If you cleanse the ears and the cotton wool comes back clean, you are probably cleaning them too often. You don’t really want to do this so try to only use a cleaner if your pet is prone to infections or the inner ears appear dirty. Before trimming hair around your dog’s ears, consult your vet or groomer so that you don’t remove too much and/or accidentally cause injury. I always use Olive Oil, it is a good, gentle, non-chemical way to clean my dogs ears and keep them clean. We've used it all my life with no harmful effects or reactions. I have a cat who has to have her ears cleaned every other day due to build up of debris and wax. She does not have any infections or mites as vet has checked and confirmed this. I use Cleanaural and Malacetic Aural products. Any other tips? My Labrador/Collie cross is constantly having problems with one ear in particular, although the vet keeps saying there is no infection and to just clean regularly with Sancerum. However, the process of having even a small amount of liquid put in her ears causes her so much distress that she runs and hides if she suspects I have the bottle in my hand. Consequently I do not have the heart to put her through the trauma very often. Is there some way to overcome this problem?